It is hard to have much information about designer breeds or hybrid dogs. However, the pure breeds are known to have a full-fledged history. It makes quite easy to comprehend the breed before purchasing it. Here, in this pet guide, we have brought all the necessary details about the hybrid dog breed namely, English Bulldog Mastiff Mix. 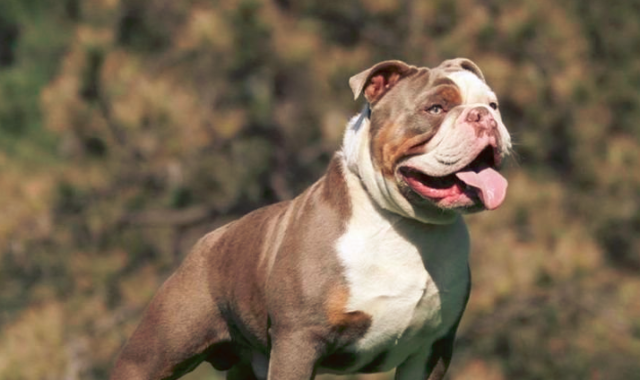 These designer dogs were originated by the crossing of Mastiff dog and English Bulldog. 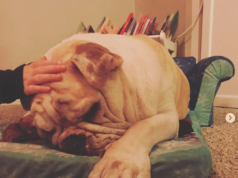 Let’s have a look at the Average lifespan of an English bulldog mastiff mix. 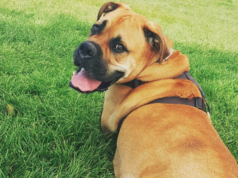 English bulldog mastiff mix appearance, Diseases in English bulldog mastiff mix, and English bulldog mastiff mix Weight and Height. The heads of this designer breed are wide. Likewise, the shoulders are also broad in appearance. These are affectionate, loyal and confident dogs. Raw food diet should be provided to this designer dog breed. These intelligent dogs shed their hair moderately. They generally have a small nose just like bullmastiff dog. They do not like to stay alone. They demand a good company. They show a better response to physical challenges. English Bulldog has a weight range of about 40 pounds to 55 pounds. While the weight of Bullmastiff can reach up to 130 pounds. Similarly, the English bulldog exhibit the height up to 16 inches. While the Bullmastiff dog can depict the maximum height up to 26 inches. The weight and height of this designer breed is the reflection of their parent’s height and weight. You can take the dog for long walks. For cleanliness, consider the vacuuming, brushing of coat and bathing of dog. This giant dog breed goes well with kids. The factors such as weight, height, lifespan, coat colors etc are dependent upon the parent dogs. The hybrid dog breed generally depicts the traits and characteristics of their parent dogs. In some of the cases, the trait of one parent dog is much more prominent than the other. While, in many cases, the may have 50% traits from both parents. The lifespan of both parent dog breeds is around 8 to 10 years. 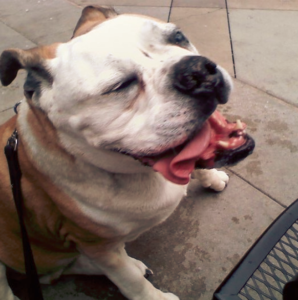 The English Bulldog Mastiff Mix dog may prone to some genetic diseases. Most common health issues that this designer dog may suffer are eye disorders. These include entropion, dry eye, and cherry eye. In addition to this, this hybrid dog may also suffer from reverse sneezing. The common health issue of both parent breeds can be developed in this hybrid dog breed. Hip dysplasia and elbow dysplasia are common ones. These conditions usually arise when the dog gets obese due to overfeeding. 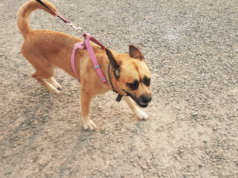 Bullmastiff husky Mix is another designer dog breed. It has various wonderful characteristics. Read on more to become familiar with this dog breed! Featuring the dog breed can lead to the rapid selling of the dog. Stop exploring for the place to advertise the dog. We will feature your dog and let you meet the right customer rapidly.